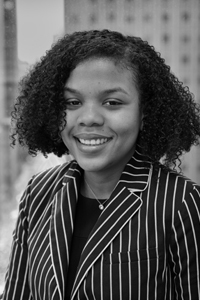 Born and raised in Jamaica, Zoe serves as a legal assistant and provides support to the banking Paralegals. Some of her responsibilities include opening new files, preparing Uniform Commercial Codes, and ordering and reviewing lien searches. Her responsibilities include property due diligence, assisting attorneys from contract to closing, scheduling closings, and preparing closing statements and other closing documents. In her spare time, she enjoys watching Investigation Discovery, HGTV, and spending time with her family.